and Kale To Help Prevent Cancer. Epigenetics is an increasing focus of research around the world; It refers not only to our genetic code, but also to the way that diet, toxins and other elements can change which genes get activated. that suppress tumors. HDAC inhibitors, such as sulforaphane, has the ability to help restore proper balance and prevent the development of cancer. It’s one of the most promising areas of cancer research today. The new Oregon State University studies have found a second epigenetic mechanism called DNA methylation, which plays a similar role. Researchers explained this one-two punch is important to cell function and the control of cell division. When disrupted, it is a sign of cancer. including colon and breast cancer. “With these processes, the key is balance” the researchers said. “DNA methylation is a natural process, and when properly controlled is helpful. 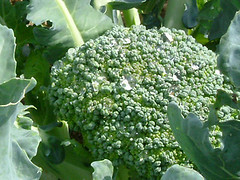 Sulforaphane is particularly abundant in broccoli and in other cruciferous vegetables such as kale and cauliflower . 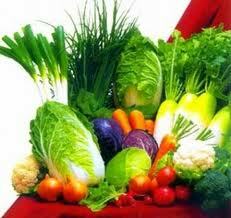 Laboratory and clinical studies have shown that higher intake of cruciferous vegetables can aid in cancer prevention. Story Source: Oregon State University. New Research Conducted By Immunologists Demonstrates How Eating Green Vegetables Improves Immune Function. FACT: Eating Green Vegetables Boosts Your Immune Defenses. Nutrition researchers have found another good reason to eat green vegetables (from bok choy to broccoli, kale, spinach, etc. ); they are the source of a chemical signal that is important to a fully functioning immune system. The vegetables ensure that immune cells in the gut and the skin known as intra-epithelial lymphocytes (IELs) function properly. Those protective IELs exist as a network beneath the barrier of epithelial cells covering inner and outer body surfaces, where they are important as a first line of defense and in wound repair. The research team now finds that the numbers of IELs depend on levels of a cell-surface protein called the aryl hydrocarbon receptor (AhR), which can be regulated by dietary ingredients found primarily in cruciferous vegetables. Subjects lacking this receptor lose control over the microbes living on the intestinal surface, both in terms of their numbers and composition. Earlier studies suggested that breakdown of cruciferous vegetables can yield a compound that can be converted into a molecule that triggers AhRs. The new study finds that subjects fed a synthetic diet lacking this key compound experience a significant reduction in AhR activity and lose IELs. With reduced numbers of these key immune cells, they showed lower levels of antimicrobial proteins, heightened immune activation and greater susceptibility to injury. When the researchers intentionally damaged the intestinal surface in subjects that didn’t have normal AhR activity, the subjects were not as quick to repair that damage. The immunologists involved in the research hope the findings will generate more interest in the medical community, noting that some of the basic characteristics observed in the subjects are consistent with those seen in patients with inflammatory bowel disease. They conclude “it’s already a good idea to eat your greens.” Still, the results offer a molecular basis for the importance of cruciferous vegetable-derived phyto-nutrients as part of a healthy diet.